The newest member of the Milwaukee Admirals, Mikko Vainonen, chills out with fellow Finn Joonas Jarvinen during today’s practice. This morning’s practice at the BMO Harris Bradley Center provided a pretty good look into tomorrow night. There was a new addition to the Admirals today at practice along with a few absentees. Let’s dive into the ins and outs of today’s practice. The first thing that took me awhile to figure out was – who is the guy wearing the #12 helmet? As it turns out, Mikko Vainonen has officially joined the Admirals following the Kingston Frontenacs elimination from the OHL playoffs. Kingston lost in overtime of game seven against Peterborough last week. Vainonen was drafted by the Nashville Predators in the fourth round (118th overall) of the 2012 NHL Draft. The 19-year old from Helsinki, Finland played two seasons of junior hockey with Kingston: 112 games, 40 points (8 goals, 32 assists), and 115 penalty minutes. In the recent seven game playoff series against Peterborough he scored 4 points (1 goal, 3 assists) and had 8 penalty minutes. Prior to playing junior hockey in North America he played 8 games with HIFK Helsinki of the Finnish Elite League. The list of players not at today’s practice went as follows: Scott Ford (injury), Mark Van Guilder (injury), Scott Valentine (injury), and Michael Young (released from ATO). Ford took a nasty hit in Saturday’s game in Chicago. First impressions suggested he had an issue with his right leg. As the Sheriff pointed out on Twitter he also received some pretty good patch work done to his face. Van Guilder is still resting up from a lower-body injury and is considered day-to-day according to head coach Dean Evason. As for Valentine, I kind of sort of forgot to ask about his status and availability so I made my own conclusion. Young was released from his ATO today and may well be joining a new team in the AHL this week. 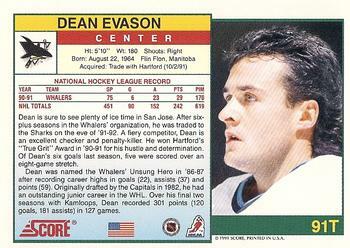 He played his first career game as a professional hockey player when the Admirals played in Toronto. Unfortunately he was injured in that exact same game. His release, and injuries to Ford and Valentine, does mean defensemen such as Jonathan Diaby, Kirill Gotovets, and the newbie Vainonen all have a shot at playing their first professional game tomorrow night. After practice was all finished up I chatted with Dean Evason, Joe Piskula, Mikko Vainonen, and Francis Wathier. Here is what everyone had to say ahead of tomorrow night’s game against the Rockford IceHogs. Comments on the comments? Any concerns with the injuries on defense? What do you make of some of these new additions to the Admirals – especially Diaby and Vainonen?